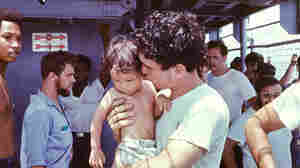 August 31, 2010  On April 29, 1975, as South Vietnam was falling to Communist forces, a small U.S. Navy ship, the USS Kirk, took on a big role in rescuing thousands of refugees rushing to the Americans for shelter. August 27, 2010  Melissa Block speaks with Jack Pritchard, president of the Korea Economic Institute, about former President Jimmy Carter's trip to North Korea to secure the release of American Aijalon Gomes. The release occurred as North Korean Dictator Kim Jong Il reportedly was in China to introduce his youngest son -- and expected successor -- to top Chinese officials. American Freed By N. Korea Back In U.S.
August 27, 2010  American Aijalon Gomes, 31, released after nearly seven months jailed in North Korea, stepped off a plane in Boston on Friday into the arms of joyful family members. 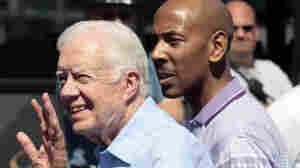 Former U.S. President Jimmy Carter, who helped secure Gomes' release, accompanied him from Pyongyang. August 27, 2010  Former U.S. President Jimmy Carter has won the release of an American citizen from a North Korea prison. Boston native Aijalon Gomes had been teaching in South Korea when he crossed illegally into the North and was imprisoned in January. August 26, 2010  With clean drinking water scarce for millions of people in flood-ravaged parts of Pakistan, the risk of a cholera outbreak is increasing. August 26, 2010  South Korean officials say the North Korean leader may be with his son and putative heir. August 25, 2010  It's being called the worst traffic jam in the world. Drivers in northern China have been stuck along a 60-mile stretch of the Beijing-Zhangjiakou highway, some for days. NPR's Melissa Block talks to Jonathan Watts, the Guardian's Asia environment correspondent, who drove out to see the gridlock firsthand. 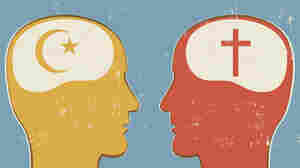 August 25, 2010  More than half of the world's Muslims live along the latitude line 700 miles north of the equator — so do most of the world's Christians. It's a place where ideological conflicts often arise. Journalist Eliza Griswold spent seven years examining how the two religions influence clashes over natural resources, tribal issues and faith. August 24, 2010  The U.N. said it needs at least 40 more helicopters to ferry lifesaving aid to people reachable only by air. 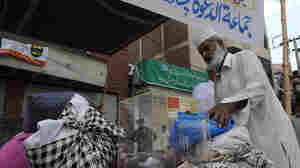 The appeal was an indication of the massive problems facing the relief effort more than three weeks after floods hit Pakistan, affecting more than 17 million people and raising concerns about possible social unrest and political instability. August 24, 2010  Economic growth has dropped from almost 12 percent in the first quarter to 10.3 percent in the second and is slowing further still. Effects are being felt in the real estate and automotive sectors but could spread further across the globe. August 24, 2010  China's major highway leading into Beijing has been a 60-mile long parking lot. Construction triggered the traffic jam. It's expected to be slow moving until construction ends next month. Why Did Aijalon Gomes Cross Into North Korea? August 24, 2010  In January, American Aijalon Gomes walked into North Korea from China. Several months later, a court there sentenced him to eight years in a labor camp. He later tried to commit suicide. One colleague speculates that Gomes went to North Korea to find a purpose for his life. August 23, 2010  As the misery continues for millions affected by floods in Pakistan, groups linked to outlawed militants are providing relief. Their contributions may be relatively small, but they are reaping big publicity benefits compared with the Pakistani government, the U.S. and international relief agencies. August 21, 2010  People who keep watch over North Korea's isolated regime say that it's leader, Kim Jong Il, needs two things: He needs a successor, and someone to watch after his successor. Host Scott Simon talks about the political situation in North Korea with Gordon Flake, executive director of the Mansfield Foundation. August 20, 2010  Hungry flood victims beg for food. Men, women and children wade through waters teeming with venomous snakes. Eight million people are in urgent need of food, water and shelter. Weeks into Pakistan's disaster, the lackluster government response has people angry and comparing the situation to Katrina in the U.S.